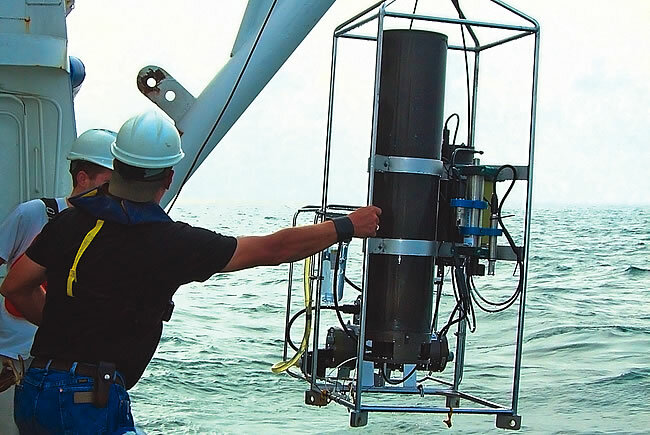 USF’s marine researchers played a vital role in monitoring the impact of the BP oil spill in the Gulf in 2010. SRI International's operation focuses on port security and environmental science. 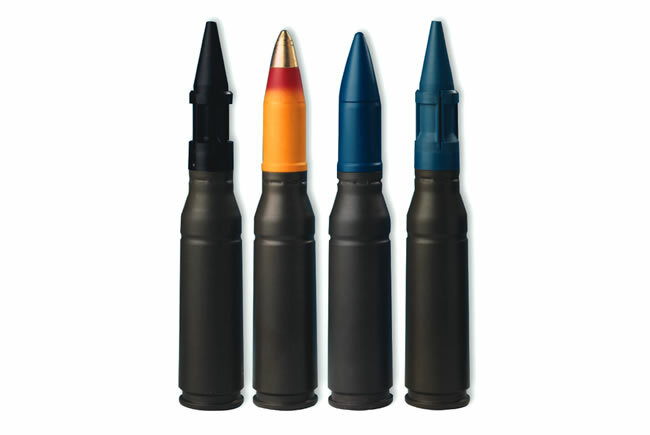 General Dynamics Ordnance and Tactical Systems makes munitions and weapons. Claro Scientific's SpectraWave uses a proprietary optical scanner to detect bacteria that cause infections. 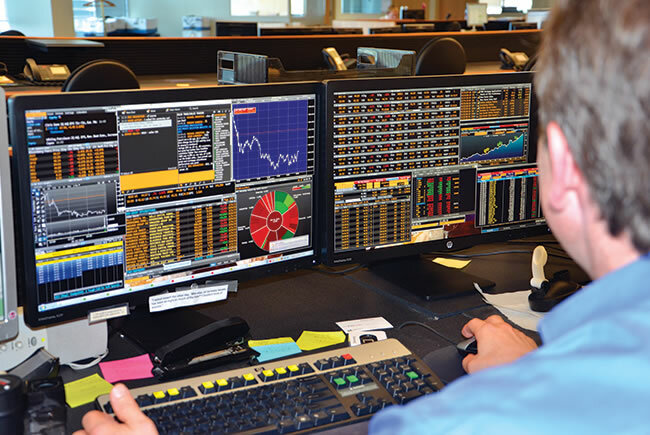 St. Petersburg-based Raymond James is Florida's largest home-grown financial services company. 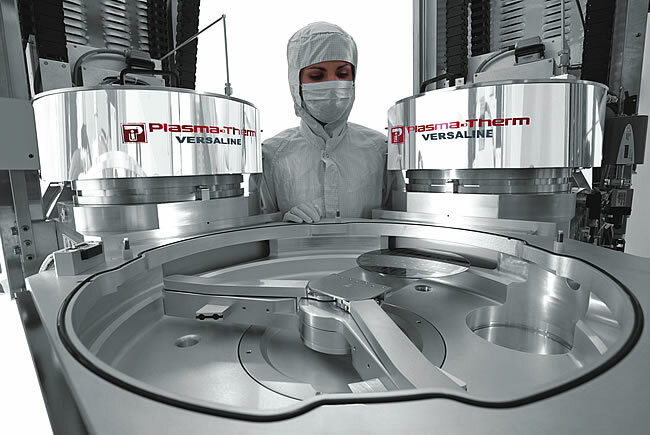 Plasma-Therm manufactures etching equipment used to make semiconductor chips for cell phones, and other devices. » Anchored by the University of South Florida’s College of Marine Science, Bayboro Harbor in St. Petersburg is home to the largest marine science research hub in the Southeast and one of the largest in the nation. The complex includes the U.S. Geological Survey’s St. Petersburg Coastal and Marine Science Center, NOAA’s National Marine Fisheries Service, the Tampa Bay Estuary Program, the Florida Institute of Oceanography, Florida’s Fish and Wildlife Research Institute and the U.S. headquarters of Cousteau Divers, a non-profit founded by Pierre-Yves Cousteau, the son of legendary diver Jacques-Yves Cousteau. With the addition of Silicon Valley-based SRI International, which launched a research operation there in 2007 to focus on port security and environmental science, the growing cluster today employs more than 1,600. 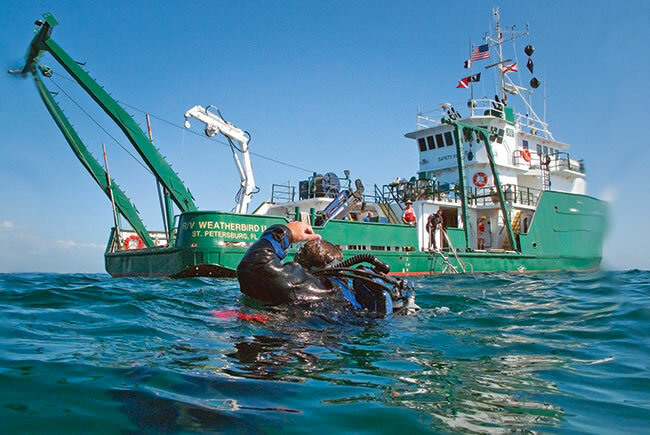 The BP oil spill in 2010 brought international attention to USF’s marine researchers, who played a pivotal role in monitoring the impacts of the disaster and attracted millions of dollars in grant money to continue to probe the spill’s lasting effects. The university’s research has also spawned several successful companies, including Dunedin-based Ocean Optics, which produced the world’s first miniature spectrometer used for optical sensing. The company was later sold for $50 million. 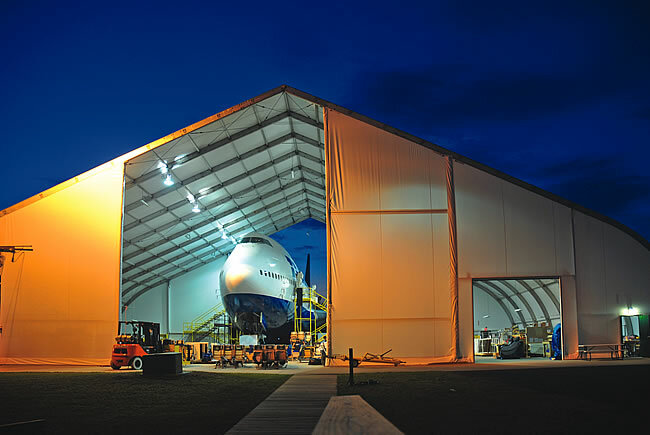 » The proximity of MacDill Air Force Base — home to the U.S. Central Command, the U.S. Special Operations Command and the 6th Air Mobility Wing — has spurred the growth of highly concentrated niches in aerospace electronics, equipment and parts manufacturing, ammunition manufacturing and avionics and maritime electronics. Included among the more than 2,300 defense contractors in the region are such industry giants as Honeywell, Lockheed Martin, Raytheon, Northrop Grumman and SAIC. Other notable companies with a presence in the region include ATK Defense Electronic Systems, which has an office in Clearwater focusing on an advanced integrated missile, laser and hostile fire warning systems; CAE, which operates a comprehensive C-130 training center in Tampa; and General Dynamics Ordnance and Tactical Systems, a St. Petersburg-based unit of General Dynamics that manufacturers large, medium- and small-caliber munitions, mortar weapons and systems, artillery projectiles, bomb bodies, propellants, non-lethal and force-protection products. 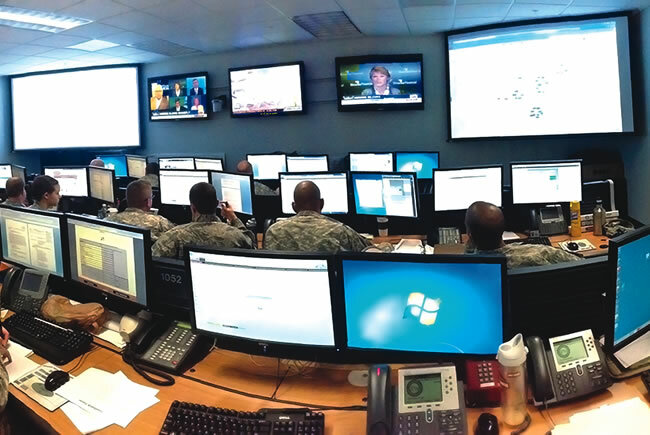 A number of other contractors such as L3-Stratis, a division of defense giant L-3 Communications, provides IT support services to MacDill. » Home to the University of South Florida, USF’s medical school, the H. Lee Moffitt Cancer Center and other top-notch medical facilities, the Tampa Bay region boasts a fast-growing biosciences cluster that includes biomedical research, pharmaceuticals and medical device manufacturing. The Tampa Bay Technology Incubator at USF Research Park has incubated more than 65 companies, including Claro Scientific, Saneron-CCEL, Therapeutics and Draper Laboratory, which have received multimillion-dollar grants from the NIH and the Gates Foundation. Another rising star is Moffitt’s M2Gen, which uses a proprietary and unique data warehouse of nearly 100,000 cancer patients that can help pharmaceutical companies line up the best possible candidates for clinical trials by matching biomarkers to targeted drugs. The $38-million, 90,000-sq.-ft. USF Center for Advanced Medical Learning and Simulation, CAMLS, provides simulation training and testing for health professionals and students. In St. Petersburg, Johns Hopkins Medicine’s purchase of All Children’s Hospital is fostering new research opportunities and has led to the creation of a new pediatric residency program that kicks off next year. 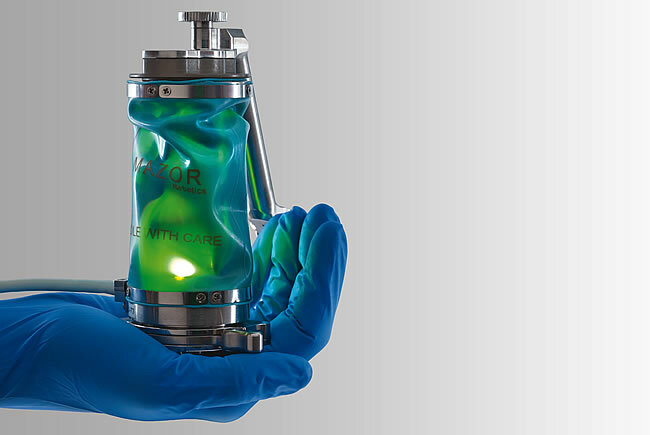 Tampa Bay — Pinellas County, in particular — is also home to more than 370 medical device businesses including industry heavy-hitters like Baxter International and ConMed Linvatec as well as a number of smaller companies spun out of university research. 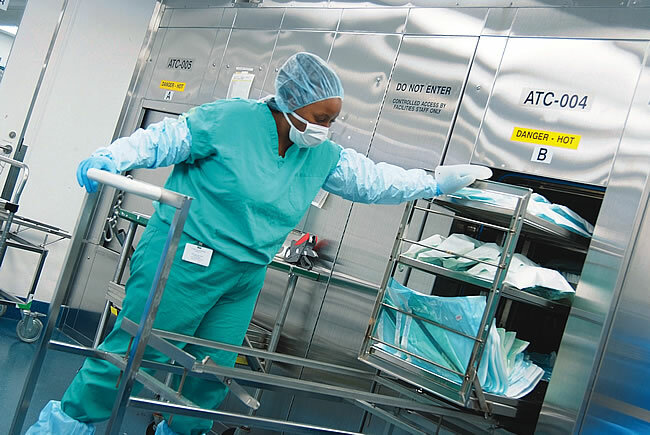 Synergy Health in Tampa, the U.K.-based company that purchased SRI/Surgical Express, and FTSI in Mulberry provide sterilization services to the medical device manufacturers. A major coup for the region was Bristol-Myers Squibb’s announcement that it will open a research and development and business support center in Tampa. The pharmaceutical giant will employ approximately 600 at its “North America Capability Center,” with salaries averaging around $65,000.